It’s been a bit of a bumpy week when it comes to the anime that I’ve been reviewing, with plenty of ups and downs. 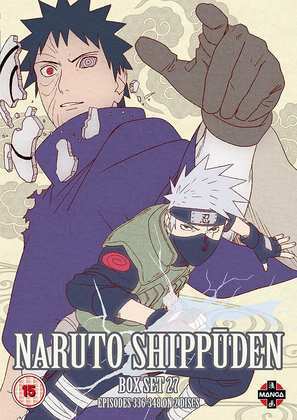 It certainly began with a tentative up, as I took a look at Naruto Shippuden Box Set 27. The Naruto juggernaut continues to barrel along, and this 27th instalment of the follow-up series continues the Fourth Ninja War, and delivers on some choice plot revelations and developments. I say it’s a tentative up though, as while the story is getting really good, the actual storytelling itself is getting worse, far too reliant on flashback to the point of tedium. Click on the review to see how frustrated Naruto makes me these days. It was then the turn of Croisée in a Foreign Labyrinth, one of my Christmas gets, and definitely an up. 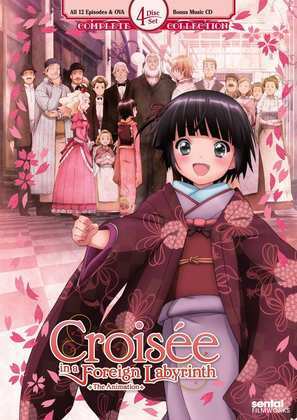 It’s a slice of life tale set in a shopping arcade in late 19th Century Paris, where a young Japanese girl comes to apprentice. It’s a light comedy-drama of culture clash and mutual discovery, as a young blacksmith takes this Japanese girl into his household. The story is soothing and likeable, and the artwork in the show is a real joy. The downer came from another Christmas purchase, Vexille. This one I decided to upgrade to Blu-ray on the basis of a few agreeable memories from when I last watched the DVD. 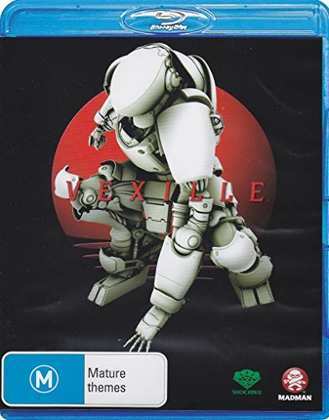 Vexille is a toon-shaded CG animation from the creators of Appleseed; another cyberpunk story set in a future world where the titular character attempts to infiltrate an isolationist Japan to investigate the results of its illicit embrace of cybernetic technology. While the Blu-ray maybe a step up over the DVD, I learned once again that nothing dates faster than CGI, especially CGI that papers over the cracks of an exceedingly thin story. 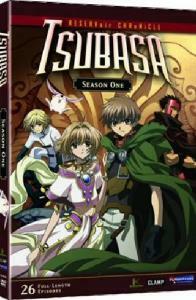 Tsubasa Reservoir Chronicle. How could this series be so utterly dull? I mean you have CLAMP’s manga storyline, a brilliant tale. A princess has her memories stolen, scattered across countless dimensions, made tangible in the form of feathers. With the aid of a warrior and a wizard, her childhood friend travels from one world to the next trying to recover her memories. But the price of this travel is that she will never recover her memories of him. It’s the anime equivalent of Sliders, with the entire CLAMP universe to play in, their roster of characters popping up in different roles from world to world. The story is sound, the music is excellent from Yuki Kajiura, and the theme songs are even better. And Studio Beetrain made a right pig’s ear of it. Each story is stretched to breaking point, each 25 minute episode containing maybe 15 minutes of narrative. There’s no filler, but there’s cack-handed direction, with plenty of barren pauses as the camera lingers on a blank-faced character, while a Yuki Kajiura sting is overused again and again to convey emotion, until any value, any depth that it had is totally wasted. The voice acting isn’t much better either, in Japanese at any rate, with dull, lifeless performances which match the lack of animation in the characters. 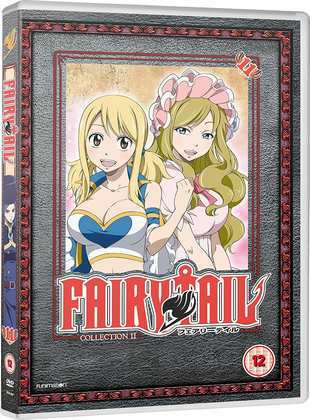 Naruto Shippuden Box Set 27 was released on DVD by Manga Entertainment last Monday, February 6th, Funimation release Fairy Tail Part 11 on DVD today, Madman Entertainment released Vexille on Blu-ray back in 2010, while Sentai Filmworks released Croisée in a Foreign Labyrinth on DVD in 2012.